This is a great dairy free alternative to cream and creates a delicious topping on fresh fruit, stewed fruit or crumble. Cashew nuts are a good source of omega 3 and nutrients needed for heart health, skin and tissues. 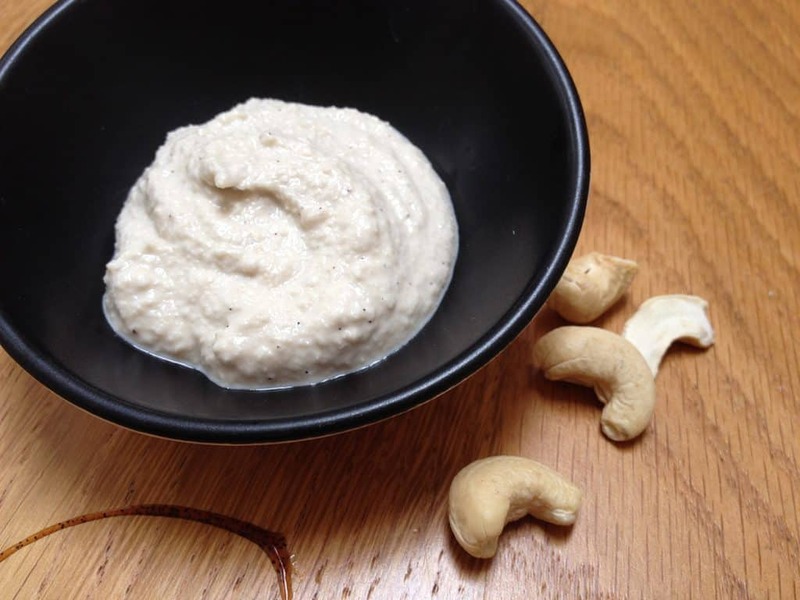 Drain the soaked cashews and blend with the other ingredients adding the water gradually for either a thick or pouring cream.